There may have been no dramatic fallout between Hase and Kaori, but the very obvious cooling in their friendship is visible to all and sundry within their class as time goes by. Of course, it goes without saying that Fujimiya is more keenly aware of this change than anybody else, and it's Kiryu to whom she turns looking for advice - advice that he can't readily give beyond explaining that Hase is probably worried about inadvertently becoming responsible for her losing her memory again at some point in the future, suggesting that she should talk to him herself is she wants any real answers. Clearly, this issue will be less simple to solve than the awkwardness between Saki and Kiryu, which is quickly resolved by the latter bawling her eyes out while explaining her concerns before receiving an apology from him. The faltering relationship between our two leads ultimately leads to them both making excuses when the winter holiday rolls around, as they both claim to their friends that they'll be going away with family, leaving them with nothing to do when the time comes. In a pique of serendipity, this decision leads to the two bumping into one another on a random walk, leading to them spending some time together chatting. Eventually, a shrine visit sees Kaori spill out her emotions about how much she wants to spend time with Hase like they used to, while Hase finally realises what an idiot he's been in shunning her out of a determination not to cry again. Thus, all is well once again as the series ends with friendships mended across the board. Having expected to find One Week Friends filled to the rafters with highly emotional drama from the offset, I've been genuinely surprised and impressed with the quiet, introspective take it has instead had on its characters, using the amnesia plot point carefully and increasingly sparingly and instead using it to simply lead in to adolescent relationship troubles which were far easier to relate to. 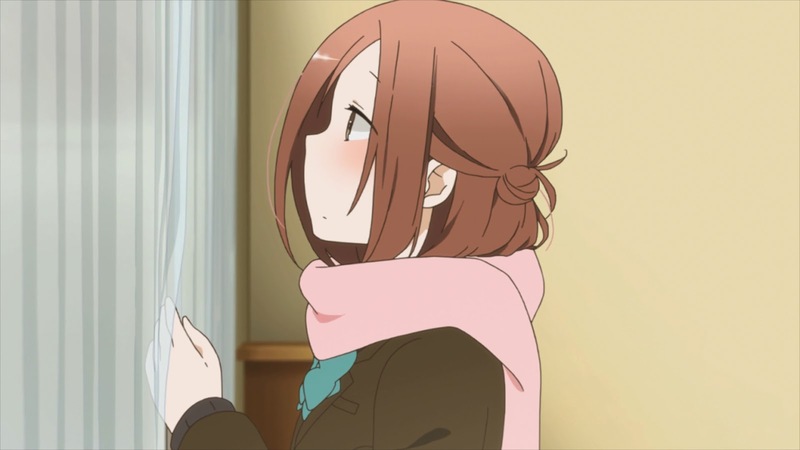 These more subtle turns were no less impactful for that quieter delivery, and coupled with its gorgeous yet equally understated visuals the series delivered everything that I'd hoped of even if it wasn't in the manner that I expected, to serve as one of the spring's better shows that was well worth watching.